These courses can be taken separately or combined (in which case the training time and number of case studies is, of course, doubled). Our two courses are affiliated to the Institute of Complementary and Natural Medicine and all our students will be able to join the ICNM as student members, thus obtaining practice insurance from the ICNM if they wish. 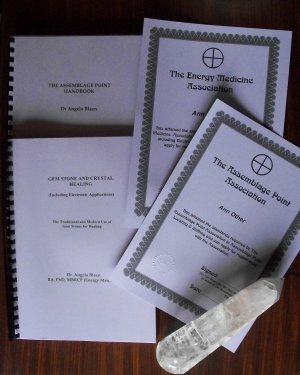 Also, once qualified by us and issued with our certificate, students can join the Assemblage Point Association (or Energy Medicine Association if they have taken the Gem Stone course) and can also join the ICNM as a practitioner, again with insurance from the ICNM if they wish. This offers our students the advantage of making a valid career with the qualification they can obtain from us.